Any parent can tell you that respiratory infections are all too common in caring for a very small child. Bronchial infections are, in fact, one of the leading cause of hospitalization in American newborns. 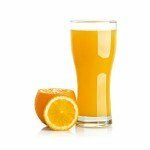 Can Vitamin D Prevent Respiratory Infections? 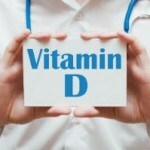 Building upon earlier studies which indicate a strong connection between high blood serum concentrations of vitamin D and healthy immune function in adults, a Massachusetts General Hospital-based research team has recently published new findings which suggest a similar relationship for vitamin D in newborns and infants . The team reexamined data sets previously collected as part of the New Zealand Asthma and Allergy Cohort Study – an often cited standard among pediatric researchers – to determine if there was a connection between vitamin D, asthma, and other forms of respiratory infection common in very young children . The original New Zealand study followed over 1,000 local area children from birth through their first five years of life. Individual newborn vitamin D levels where initially measured using samples of umbilical cord blood. Three months following birth, and then annually thereafter, infant health was documented via a series of questionnaires. Emphasis was placed on signs of respiratory aliment (such as wheezing), asthma, and other forms of infectious disease in children. While cord blood samples showed signs of low vitamin D levels in nearly all of the infants studied, upwards of 20% qualified as severely deficient. Children in this latter percentage were twice as likely to have suffered respiratory infection by their 3-month checkup. Data collected over the next several years further supported these preliminary findings. The lower a given child's vitamin D levels at birth, the more likely they were to have fallen ill due to respiratory infection. However, much to the surprise of the followup researchers, a similar trend was not observed in instances of asthma. While children with asthma whom had low vitamin D levels at birth were prone to attacks and other related complications, they did not appear statistically more likely than their less deficient peers to develop the condition itself. This suggests that the causes and triggers of asthma may well be wholly independent of one another. For all the remedies and preventatives directed at keeping young children healthy, modern medicine appears to have grossly underestimated vitamin D's power when it comes to bolstering the human immune system. Evidence supporting this theory continues to mount – and this most recent study is only another drop in the bucket. In fact, other Vitamin D studies indicate it may help prevent the flu, prevent arterial stiffness and fight Crohn's Disease... just to name a few. A growing number of experts now recommend significantly increasing (perhaps even doubling) the current recommended daily intake of vitamin D, specifically because of it's immune enhancing potential. No official changes have yet been made, but in the meantime, it may still be worth incorporating a high-quality vitamin D3 supplement into your family's diet, as well as getting plenty of sun. This is the D3 supplement that I personally use and would recommend to everyone else. Camargo CA Jr, Ingham T, Wickens K, Thadhani R, Silvers KM, Epton MJ, Town GI, Pattemore PK, Espinola JA, Crane J; New Zealand Asthma and Allergy Cohort Study Group. Cord-blood 25-hydroxyvitamin D levels and risk of respiratory infection, wheezing, and asthma. Pediatrics. 2011 Jan;127(1):e180-7. doi: 10.1542/peds.2010-0442. Epub 2010 Dec 27. Epton MJ, Town GI, Ingham T, Wickens K, Fishwick D, Crane J; New Zealand Asthma and Allergy Cohort Study Group (NZA2CS). The New Zealand Asthma and Allergy Cohort Study (NZA2CS): assembly, demographics and investigations. BMC Public Health. 2007 Feb 28;7:26.